Several weeks ago, we reported a new firmware update version 2.0.8 for Canon EOS-1D X already installed in some cameras. Today, a reader from CanonRumors site proved with a screenshot of 1D X firmware V 2.0.8. Expect the new firmware will be announced soon, detail of new firmware is still not available yet, stay tuned for more info. Canon EOS-1D X Firmware Version 2.0.7 Now Available for Download ! Canon EOS-1D X Firmware Version 2.0.8 Released ! 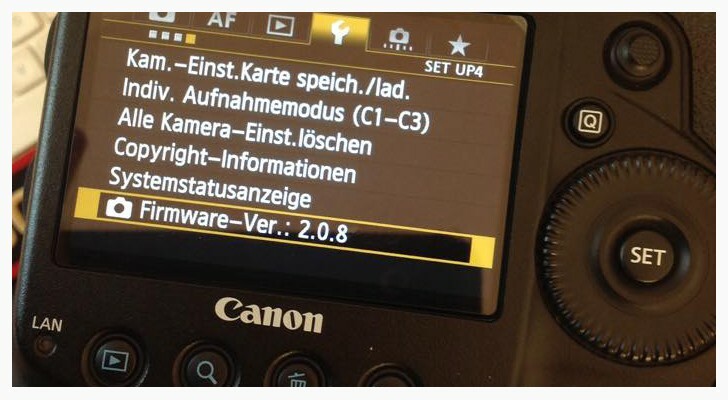 Canon EOS-1D X Firmware Version 2.0.8 Coming ?